Brand authority is the key to success of a business in the competitive scenario today. It refers to the trust and credibility that the brand earns in the market. When it comes to building your brand’s authority across the online channels, it seldom comes easily because there is huge competition that you have to beat. A variety of factors come together to influence it, with compelling and robust content being the mainstay. Additionally, you have to build comprehensive engagement across the internet, including the social media platforms. Once you have built your brand’s authority, you can capitalize on it as a long-term business asset. Amazingly, its influence is such that it can even override the lure of similar products or services that are available at lower price. This is the reason that businesses are going an extra mile to build their brand authority. Why online brand authority matters? One of the best ways to increase conversions for your business is to build brand awareness and elevate its online authority. Not only does it make your products or services more attractive for the clients but boosts the online marketing efforts as well. A brand that gains trust of the buyers is patronized by them, which gives your business a “human” advantage. The present as well as potential buyers are keen to interact with your content wherever they come across it online. This gets you free advertising as they propagate the brand’s popularity by sharing it across their social profiles. Additionally, a strong brand authority makes you an attractive proposition for the industry influencers as well, which again is a great way to get promoted online. Building your brand’s authority initiates with enhancing your online visibility. Adam White, the founder of SEOJet.net, explains that with all of the recent Google updates it is now more important than ever to build brand authority with Google. Branding turns up a supportive factor for SEO because helps you increase the number of quality backlinks and improve your click-through rates too. Now that you can understand how building your online brand authority really matters, it is time to understand the strategies that you need to adopt to do so. Here are some measures that you can take to create an authoritative business brand. To begin with, on-site content is the best place to start when you want to establish your business brand as a credible one. Write informative and valuable posts and showcase them on your company’s blog. The best thing you can do is to come up with in-depth and relevant content that addresses the pain points of the customers. Regularly updating your blog with fresh and informative content keeps you active and engages your targeted audience. Experts recommend guest blogging as one of the most effective strategies to elevate your brand’s authority. Write compelling guest posts that follow the content guidelines of high DA blogging platforms that are relevant to your industry. 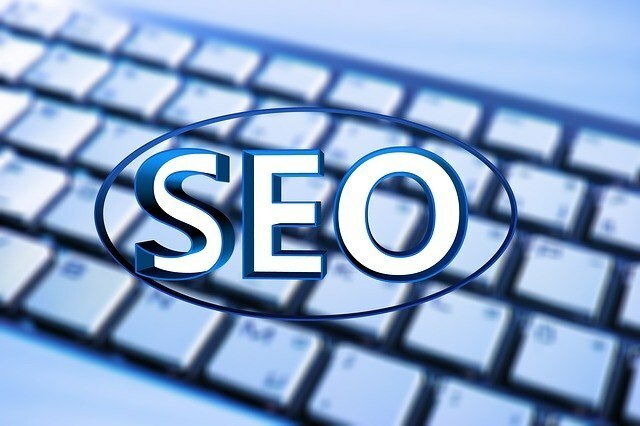 Doing so helps you to build authority links that fetch relevant traffic for your business sites. Also, this strategy extends your outreach to the targeted audience and enables you to engage them with content that is compelling and useful. Better engagement translates into higher conversions and trust for your brand. Another key strategy to build your brand authority is to strengthen your social media presence. The various social media platforms bring awesome opportunities to connect with your target audience and build a huge customer base out there. Since this is where your existing and prospective customers are, you can share quality content and knowledge socially to reach them and win their trust. Social media also gives you the chance to address queries and criticism that may arise from time to time. Being there for the customers can strengthen your credibility manifold. As the online competition grows at a rapid pace, there is a need to provide proof of your credibility to the customers. Buyers prefer to trust people rather than brands, which is the reason that real testimonials and genuine reviews are so important for your business. Have real customers share their reviews and testimonials and post them on your website’s home page. Encourage them to post these on the social sites too so that they are accessible to your entire audience base. Showing your customers that you value them is a good way to build your brand’s authority. Besides serving them informative content, give them special incentives for patronizing your brand. These incentives can be in the form of special discounts, coupon codes and free product delivery. Telling the customers that they are special for you connects them to your brand and builds a lasting relationship of trust and loyalty with them. If you want to take your brand’s authority to the next level, work on creating an exemplary user experience for your website. The idea is to create an intuitive UX that drives a purchase decision rather than making them go through cumbersome steps that drive them away. Make shopping as easy as a few clicks, with uncluttered design, easy navigation, simplified checkout, and minimal form-filling. A user-friendly design of your brand’s website is perhaps the first step for building its authority online. There is no better way for building your brand’s trust and authority than getting a coveted award and accreditation in the industry. If you have any such acclaim, it will add to your brand value and give you a place of trust among the customers. The best way to leverage them is by showcasing the award logos and event images on your website’s home page. You can even have a story related to it posted on your blog or as a press release that you can propagate online. These strategies are simple but they can do some amazing things for your business as they are capable of enhancing your brand value significantly. Having a professional digital marketing agency to handle the strategies is a good approach as they can get you fast and effective results by using the right strategies.